One of the three great benefactors of Matsuyama University. Born in Yamanishi Village, Onsen District, Iyo-Matsuyama Domain (modern day Nishiyama-cho In Matsuyama City). When he was 20, Nitta made his mind to travel to Osaka. 10 years late, he started producing Japan’s first power transmission belts. As part of this venture, he helped establish the leather belt production industry in Japan, deemed nearly impossible, and was also involved in glue, gelatin, and plywood production, contributing significantly to the development of Japanese industry. Nitta loved youths and he loved scholarship, and he endorsed the proposal to establish the Matsuyama Higher School of Commerce. To launch the university, Nitta invested vast amounts of his own private fortune under the condition that he would not be asked to get involved in the operation of the school. 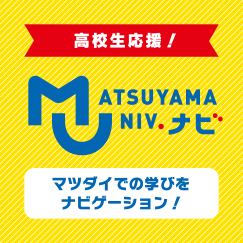 Thanks to Nitta, the Matsuyama Higher School of Commerce (the predecessor to Matsuyama University) was established as only the third private higher education school dedicated to commerce in the nation. As a founding father of Matsuyama University, his accomplishments live on today. One of the three great benefactors of Matsuyama University. Born the third son of Confucian scholar Ohara Aritsune in Iyo-Matsuyama Domain, famed haiku poet Masaoka Shiki was his uncle. Familiar with Confucianism from a young age, he entered the Ministry of Foreign Affairs after studying in France. He served as the Private Secretary to the Minister for Foreign Affairs, then as an ambassador and an envoy before being selected as a member of the Lower House and then the House of Peers. In his later years, he was asked to serve as mayor of Matsuyama, becoming the city’s fifth. He was positive towards the proposal to establish the Matsuyama Higher School of Commerce presented by Akikado Kato, principal of Kitayo Junior High School. Tsunetada played a significant role in the founding of the school as a key facilitator in the movement to get it started, including conducting negotiations with the Ministry of Education, Culture, Sports, Science, and Technology and requesting funds from his friend Chojiro Nitta. One of the three great benefactors of Matsuyama University. Born the second son of Iyo-Matsuyama Domain samurai Miyagi Seishu, Kato studied in the Department of Literature at Tokyo University, learning about the latest ideas from Western Europe. After graduating, he joined the Ministry of Education, Culture, Sports, Science, and Technology and the Ministry of Finance before entering the educational field. After serving as an instructor at Yamaguchi Junior and Senior High School, he became principal of the Osaka Higher School of Commerce. Years later, he became the principal of Kitayo Junior High School (now Matsuyamakita High School), during which time he worked to quickly establish a higher school of commerce, proposing the idea to Matsuyama City mayor Tsunetada Kato. After the Matsuyama Higher School of Commerce was established, he served as its first principal. At the school’s first graduation ceremony, Kato he advocated “Faithful,” “Useful,” and “Truthful”*, establishing the founding principles of Matsuyama University, traditional values concerning character development which have been handed down to this day.